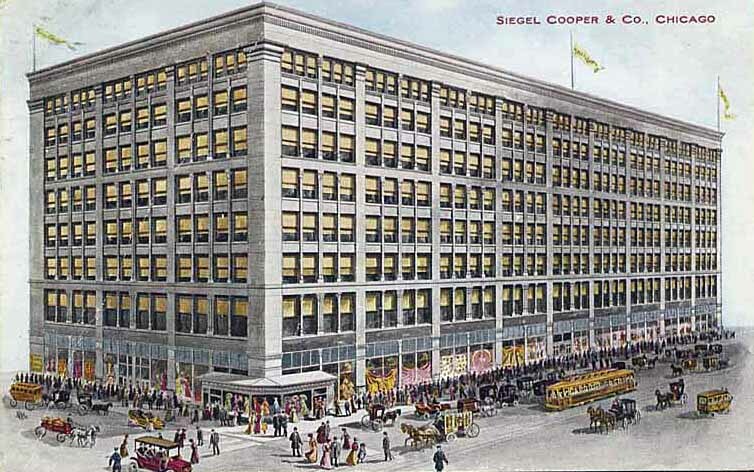 By 1920, the nation’s largest retailers had erected imposing flagship stores in New York, Philadelphia, and Chicago. 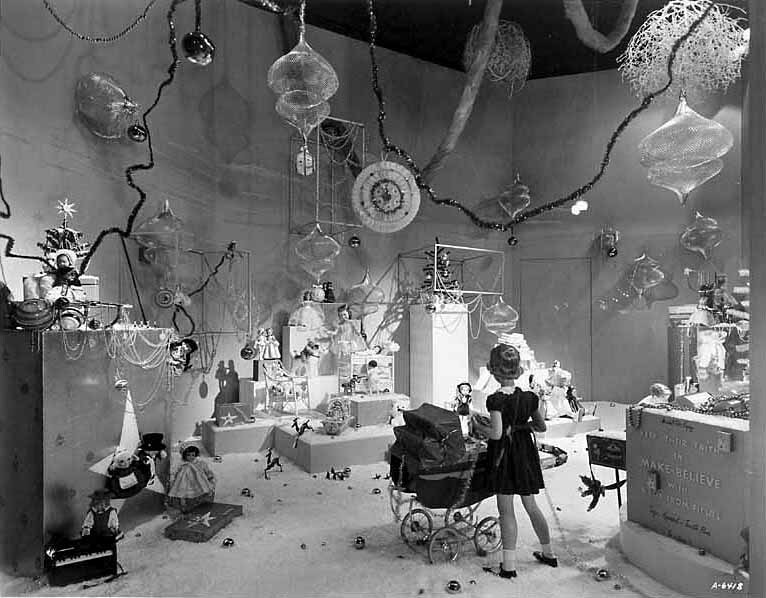 Once the flurry of building was over, department stores continued to compete with each other through lavish display. This was especially true at holiday time, when display managers and their artists constructed imaginative Santa lands, toy towns, and elaborate window scenes. These efforts were expensive, but the results—a gift to the public—created an emotional bond between store and shopper. Department stores often occupied an entire city block. They capitalized upon their enormous expanses of plate glass to project a festive atmosphere from building to street. 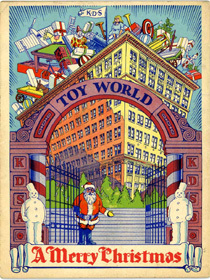 To lure shoppers to its fourth-floor toy department, Marshall Field presented its State Street store as a voluminous treasure chest. 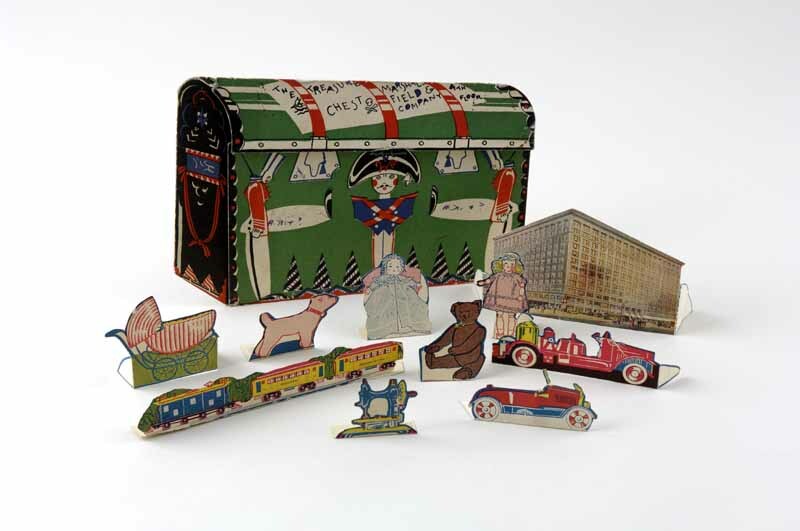 This souvenir treasure chest contained paper cut-outs of the building’s impressive facade and toy merchandise. 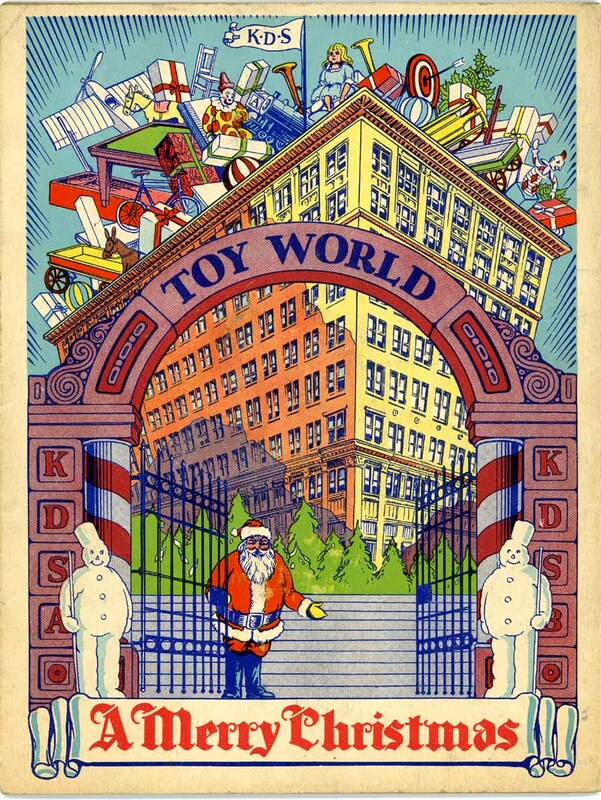 In this children’s souvenir of a visit to Santa Claus, a towering building groans with an abundance of toys, like a classical horn-of-plenty spilling its goods upon the land. Evergreen trees trim the store’s exterior, and Santa beckons under a ceremonial archway.